Our Surveyor was asked to survey this enormous staircase in Bungay. Firstly, there are a number of rooms served from the intermediate landing. 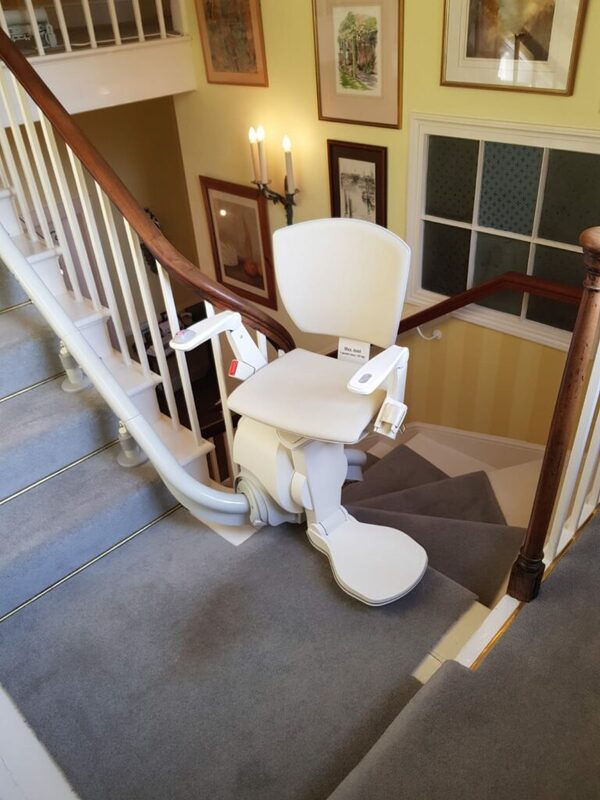 Any stairlift going from hall to main landing would also need to stop here safely. The Otolift Air can overcome both of these issues. Firstly, an intermediate stopping off point is possible on the landing at the half way point. 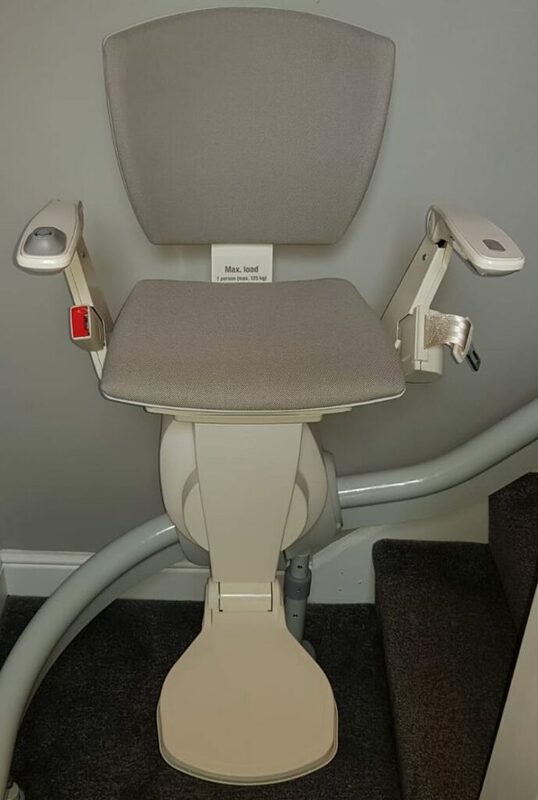 The stairlift rail has been designed to level off at this point to allow the chair to turn away from the footrest to allow easy seating and standing. 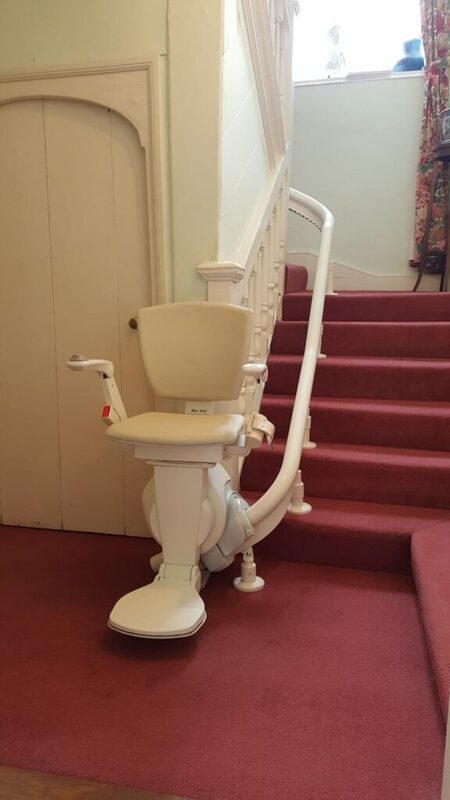 The stairlift can be left here as long as needed as it will also charge the batteries while parked. Secondly, the original flooring in the hall could not be touched to secure the rail. 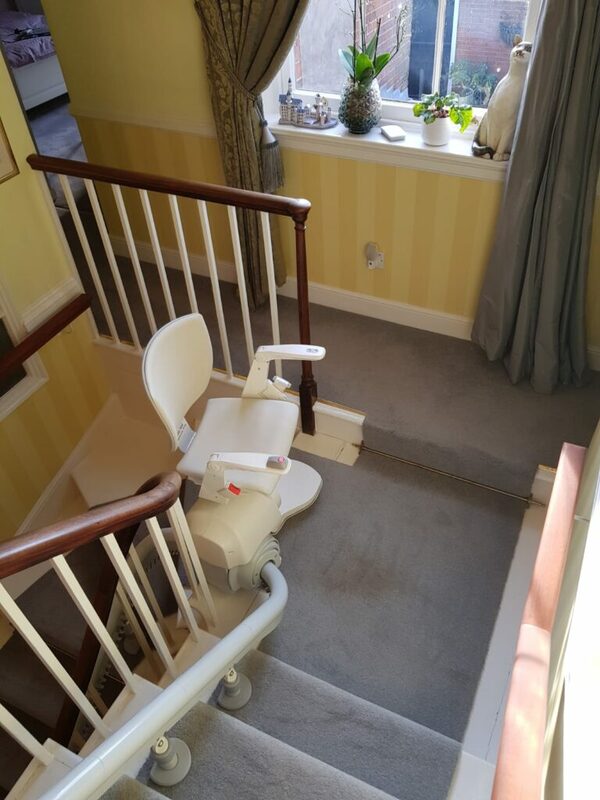 There are options with the Otolift Air to overcome this. The neater of the options leaves the seating position slightly higher than normal. The user was assessed and this type of start was agreed as suitable. The rail end has a Minimum INTrusion start (MINT). 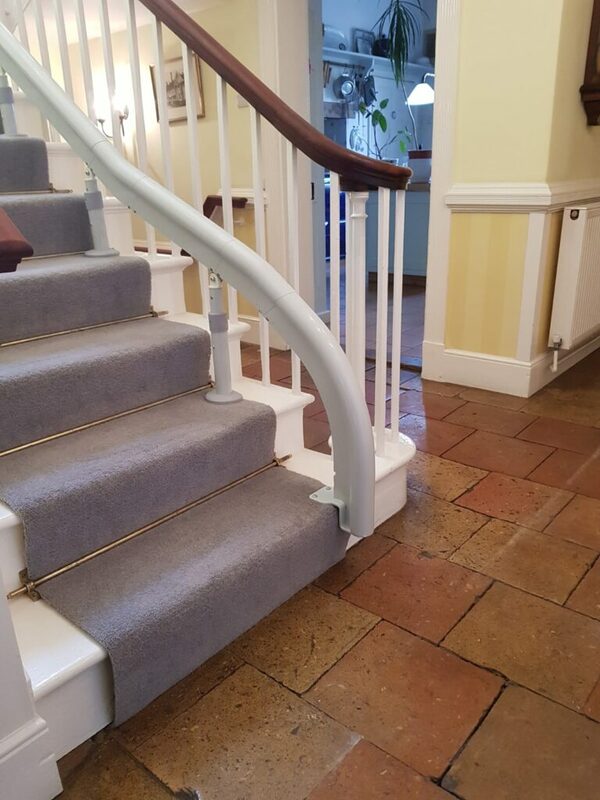 The rail is secured to the 1st step as you can see here avoiding any damage to the floor. 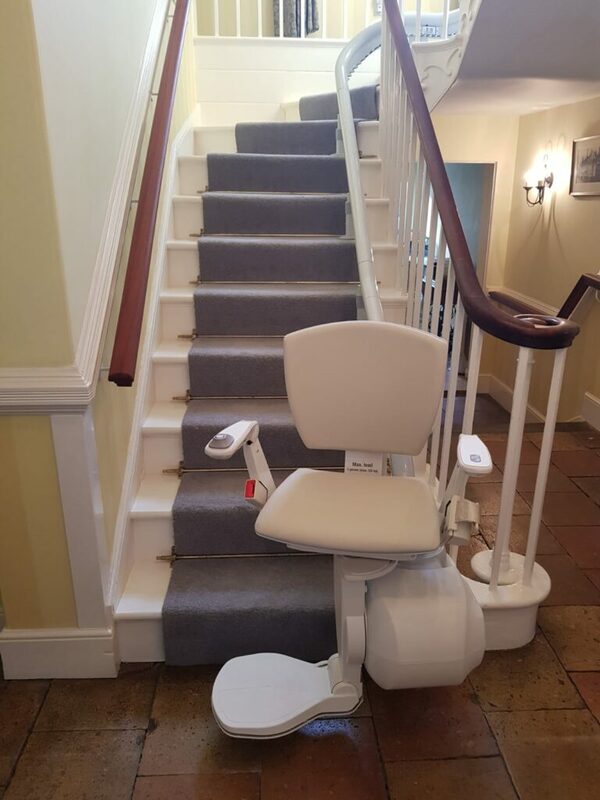 Norfolk Stairlifts is an independent company that installs stairlifts throughout East Anglia. Our showroom located in Hingham NR9 4LF. 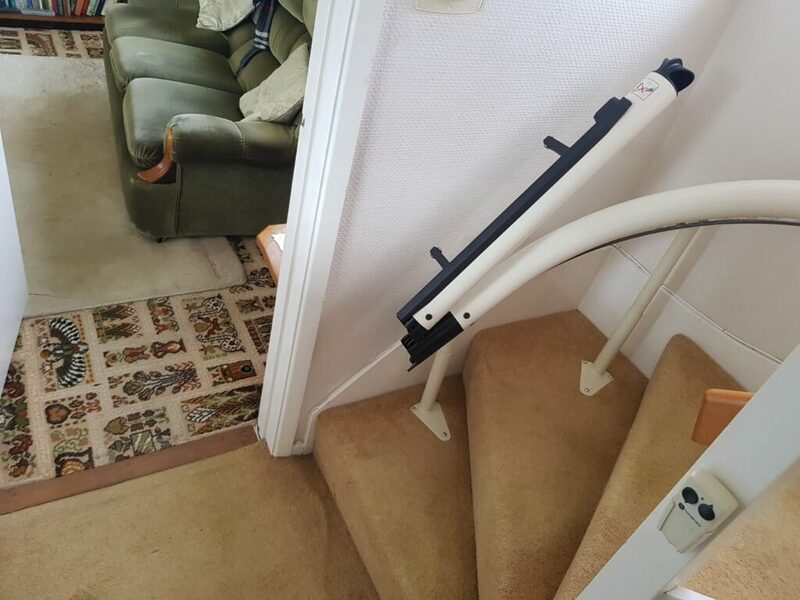 We offer new and reconditioned stairlifts and install stairlifts for both private customers and for 9 District Councils across Norfolk & Suffolk. 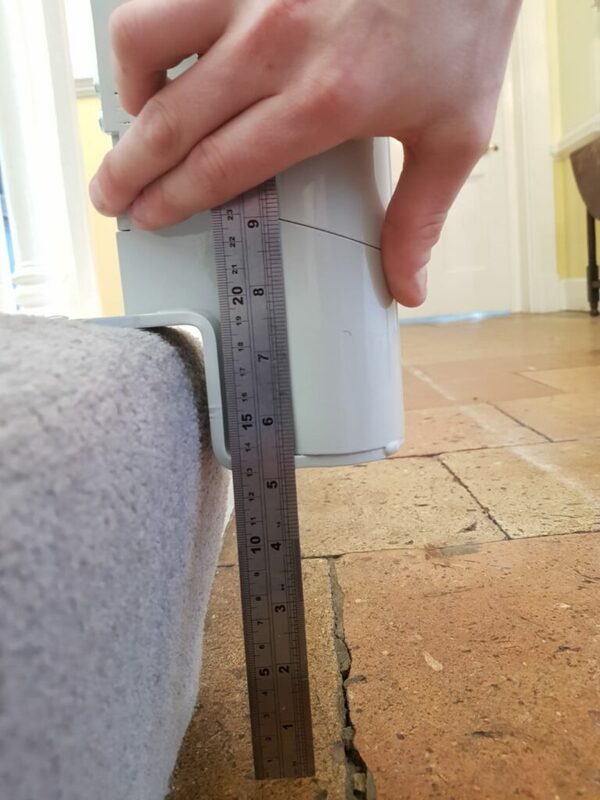 We have installed over 3,000 stairlifts throughout Norfolk and Suffolk and have seen the difference a stairlift can make. 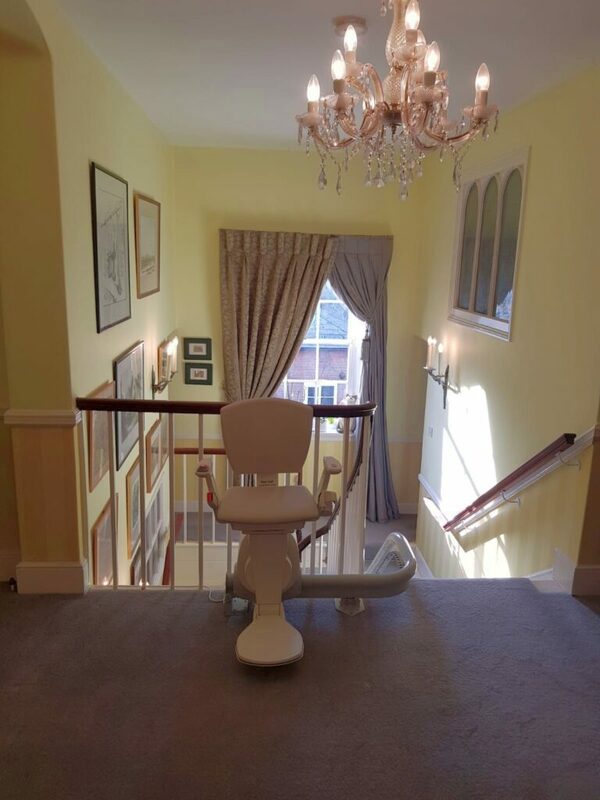 To arrange a no obligation survey or to ask us about anything stairlift related, please click here.